Bob Olson, Afterlife TV: Hi everybody, this is Bob Olson with Afterlife TV. This is where we search for life after death, and we ask some questions that are related to the afterlife. Today’s question is going to be, can loss be a catalyst for spiritual awakening or spiritual growth, however you want to say it. We’ve got a person who can really answer that question because, I think loss in his life or a significant loss, has changed his life in many ways and he’s written a book about it. I’ll show it to you now. It’s called Soul Shift. His name is Mark Ireland. The subtitle is Finding Where the Dead Go. We’ll talk about that in a minute. Welcome Mark. It’s exciting for me to have you here, thanks for coming. Mark Ireland: I appreciate being here, Bob. Thanks for having me. Bob Olson, Afterlife TV: I’ve got to tell you, there are some similarities. Not a lot, but there are some similarities between our journeys, so I think it’s going to be fun having this conversation along the way. I always get excited when you share something with somebody even though there are some details that are quite different. Why don’t we just start by answering that one question? Do you think that loss can be a catalyst for spiritual awakening or spiritual growth? Mark Ireland: I definitely think that is the case. Not only with myself, but other people that I’ve met since going through a loss myself – and we can get into that in more detail later – the loss of my youngest son. But it makes you take inventory of your life, what the time is being spent on, and what your goals and ambitions are. Sometimes I think people, after going through that inventory, they really realize that maybe they were focusing most of their attention and energy on things that weren’t as important. Things that are maybe important to the worldly eyes, if you will; the world view of material gain and/or job and career kinds of things, rather than family and friends, helping other people, and being proactive in terms of causes that benefit people around the world. Bob Olson, Afterlife TV: Having said that, I love the line that you had, I think it was in the second to the last chapter or the last chapter. You talked a bit about this, and of course I’m paraphrasing here, but you said, “I would give up all the spiritual growth that I’ve had as a result of this to get my son back,” and yet, you were still able to appreciate the growth that you have had. Mark Ireland: Well, that’s the human part of me. There’s a yearning and want that you’d like to have that. But at the end of the day you realize, or at least I see it as the path that I was supposed to go down because it kind of kick started me into some work and providing help and information to other folks to help them along their path, which is broader and bigger than myself and my family. Bob Olson, Afterlife TV: Well, before we talk about your loss, tell us a little bit about who you were. What kind of person you were, and maybe what you were up to before you had this tragedy in your life. Mark Ireland: Sure, and I don’t want to characterize it as if I didn’t have any spirituality in my life at all because I did. In fact, I was raised by a father who I’ll touch on later; who was not only a psychic medium but a minister as well. So that element was there and I saw great evidence that gave me confidence in there being more than just a physical reality. But I wasn’t focused on that through my adult life. I didn’t really follow the same path as my father. I ended up going to college, getting married at a young age, getting into the business world and kind of climbing the ladder. So prior to losing my youngest son, I was in the corporate world striving for advancement, more money, and all those kinds of common things that people go after in this world and was attaining some of those things right at that time. In fact, I had switched positions just three weeks prior to that cataclysmic event. Bob Olson, Afterlife TV: It says in the back of the book that you were an advertising executive. Some people think that’s about the farthest you can get from spirituality, thanks to all the advertising messages we see. What is it, 5,000 times a day or something crazy? I’m joking here, of course, but when you’re in that kind of a world, you’re not sitting down with your co-workers talking about these kinds of subjects are you? Mark Ireland: Not too much. It’s interesting though, within that company, which I am no longer with; the company I worked for, at that time, was very supportive during that and subsequent to the publication of my book. I actually put the book out there and shared it with my boss, some senior vice presidents and high-level people. I knew it was kind of a risk to myself to share some of those concepts with them, but they actually had glowing feedback and a couple of them wrote reviews on Amazon. Bob Olson, Afterlife TV: Oh that’s awesome. You know, one of the things that I’ve learned over the years is, there’s probably a lot people who watch Afterlife TV, who never tell their co-workers about it. They just don’t feel safe in that way, expressing this interest that they have. So there’s a lot of people who are sort of in the closet, who have an interest in spirituality, spiritual growth, the afterlife and what have you, and they kind of do it alone or they do it with just a few friends and not too many. It’s situations like you had, and especially where you went and wrote a book and became very open about your experiences that get people talking about it in ways that they might never have before. Was that sort of your experience? Mark Ireland: Yeah, and you also get to a point where it’s like, what do I have to lose? I’ve already been through the worst thing you could go through, so it’s like maybe this is important and I need to stick my neck out. Maybe that’s a change in me that needed to take place to lead this way open. 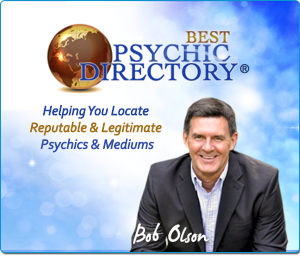 Bob Olson, Afterlife TV: The most difficult part of these interviews for me, because I have such compassion for people – empathy, I guess is really the word – when I hear about their loss. It’s one of the reasons that I do what I do. But tell us about the loss in your life that really became the catalyst that we’re talking about. Mark Ireland: Absolutely. My youngest son, Brandon, was going to go on a hike back in January of 2004. I had actually been on the road traveling with that new job the prior week. I came home on a Friday night and was anxious to see him and my wife. My older son, by that point, had moved out of the house and was on his own. I walked in the front door – and interestingly coming home from the airport, I had thought about stopping for a bite to eat, but something compelled me to come straight home. I don’t know. It was just like this gut feeling, no go straight home tonight and I did. I walked in the front door and the first place I went was back to Brandon’s room. I figured, he’ll be at a movie or whatever, but he was lying there in bed watching TV. He just smiled really big. I walked over and gave him a hug. We didn’t even say a word, so it was just like a kind of a homecoming feeling, and then I went over and saw my wife. The next morning we got up and Brandon had mentioned wanting to go on a hike with some friends. He hiked all the time. We live in Scottsdale, Arizona at the base of the McDowell Mountains, which are fairly good-sized desert mountains; a very pretty area. But this particular day, I felt more uneasy than usual. It was going to be a little bit bigger hike, but aside from that, there was something in my gut that just didn’t feel right. I ended up a short time after, talking to him about the hike. I sat down at my computer and I was doing some things, and I almost felt like a premonition kind of thing. I don’t know how to describe it, it just felt like there was a presence there and in my gut. I didn’t hear any words or see any visions, I just felt like there was an eminent danger to Brandon. Now I didn’t want to over blow this, but I did ask him not to go. It was a windy day and I said, “It’s a windy day, you really shouldn’t go,” and he was 18 years old, there was no turning it down. He got in the car with his buddies to leave and I said, “Please don’t go, Brandon.” And he said, “We’re going dad.” So I kind of had this edgy feeling the rest of the day. He and his buddies took off. My wife and I ended up going to the other end of town to see a nephew and my brother who were visiting. At the time, I just couldn’t take my mind off of this worry. Later that afternoon my cell phone was ringing, and I thought it might be Brandon. I was hopeful because I had left a note for him on the kitchen counter, but it was actually a call from my older son who was at work. He was calling us because he had received kind of a distress call from one of the boys who was with Brandon on the side of the mountain. He said he had been not feeling well, he was dizzy and passing out, and they asked him to call 911 for a helicopter. My other son Steven was distraught. He was at work, so he called me and kind of asked me to do it. So I did and I ended up getting a hold of the officials and they said they were going to send a helicopter. I didn’t really know the nature was of what was going on. I did talk to one of the boys briefly and he just said that Brandon had been feeling light-headed. He felt like his heart was beating rapidly and his limbs were somewhat numb. So we drove home. It was probably a 40-minute drive or something like that. By the time we got up to where we were driving up the road toward the base of the mountain where we live, and I could see this hoard of spectators, an ambulance and the helicopter up in the distance. It was just like a heart-wrenching thing. As soon as we parked, we told the officials who we were. They brought us in and introduced us to a Chaplain and once that introduction took place, I was pretty concerned. I figured it wasn’t to tell me good news. A short time later, they told us that Brandon had passed and then they brought his body down off of the mountain. We were able to view it in the back of an ambulance, and I would say that was the low point of my life. Bob Olson, Afterlife TV: You know you explained this in the book and you probably don’t have a lot of time to explain it here, but what was it that actually took his life? Bob Olson, Afterlife TV: Yeah, talk about the uncle story, because that is pretty fascinating. It was about three days to a week later or something like that, that I spoke to the physician who had performed the autopsy and she said that Brandon apparently had had a severe asthma attack, which had lowered his blood oxygen levels to the point of causing cardiac arrest. So my uncle hit the nail on the head with the cause of death before I even had an official ruling on that. Bob Olson, Afterlife TV: Did you suspect asthma to begin with? Had he had really severe asthma attacks in the past, and so you thought maybe that was the cause? Mark Ireland: Well, we had concerns about the possibility of asthma. He had asthma, but never that severe, and he was on a preventative drug called Advair, which is supposed to kind of head off attacks and so forth. And none of the descriptions from the boys who were with him matched up with any asthma attack he had ever had, you know the rapid heartbeat, the numbness of the limbs, and those kinds of things. He even had his inhaler with him and took it, but it was ineffective. I don’t think from the description that his friends provided, that it really felt like an asthma attack. He felt like he was wheezy or whatever, but it just seemed like these other symptoms were more pronounced than the difficulty breathing was. 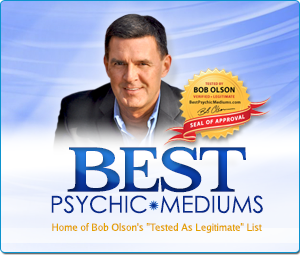 Bob Olson, Afterlife TV: Let me just say – we’re going to talk about that next – your father was a famous psychic and medium, you said, and your uncle, obviously, as well. Did you have any abilities at all growing up? Was this something that was passed on to you as well? Mark Ireland: I think it’s latent there in all of us, maybe in varying degrees. I think it’s more pronounced in certain family lines, so part of it might be physical and tied to our DNA. I can’t say that I’ve ever been at the same level as my father nor do I really strive to be. Maybe if I had put more energy toward that, it could’ve developed, but I had, in my case, more kind of spontaneous events. One thing I noted in the book, I was dating a girl back years ago before I was married. I had a dream one night that she was dating this other guy. I was hesitant to tell her about it and she goes, “No, no tell me about the dream.” I described the guy’s physical appearance and then told her the first and the last name, Bob Dooley and she said, “I dated a guy named Bob Dooley, that looked just like that in Kansas.” So where that came from, I don’t know. It’s not like something that happens all the time. Bob Olson, Afterlife TV: I know we’re getting a little off story here, but it’s sort of some back story and it’s going to come in, so we’ll talk about it now. Let’s talk about your father. Below this video, I’m going to put a link to the YouTube videos of your father. There’s a Part 1 and a Part 2, when he is on the Steve Allen Show. Are those yours? Are you the one who put those up? Mark Ireland: I did post those, and Part 2 is actually even better than Part 1, especially for skeptics because there is some evidence in there that he really had to look at and think about. Bob Olson, Afterlife TV: I just wanted to say that I’m going to put those on there. It’s fascinating to watch, and honestly, I don’t know what’s going on there, but just looking at those videos, assuming – and I do, I’m assuming everything is legit – he’s got to be one of the best psychics I’ve ever seen, just absolutely amazing. So people have to watch that video. But go ahead and say what you were going to say. Mark Ireland: Well, you know, I think the people that knew him felt that he was the best, or at least one of the very best, at least of our time. The second video includes some things that you’ll want to note. For one thing, a lot of people that are skeptical about it will say, “This is too good to be true. There’s trickery going on somehow.” They will assume either he can see, which he’s all blindfolded and taped in a way that he can’t see. I mean, I saw this so many times. I saw him take it off, and that it was still sealed tight against his eyelids; it pulled his eyelashes off and all that kind of stuff. Aside from that, then they think he had plants in the audience or something. On the Steven Allen video, he addresses probably a dozen people. But in an actual demonstration in a normal environment, he would probably talk to a group of 100 and he would reach 50 to 70 people. How do you have 50 to 70 plants providing the same level of detailed information that you see in this video? And I’ve had some personal – they’re antidotal stories, but people have come back to me with some amazing stories that are just very confirming and can’t be explained away. I can share some of those, if we have time. Bob Olson, Afterlife TV: Yeah, and you know what’s amazing to me about him doing this is that he was a minister. I mean, there are some people out there who will say that we have no right to be playing around with this kind of stuff. And here’s a guy, he was a minister and he was also using his abilities to – what was he teaching people? Mark Ireland: Well, he actually first became ordained in a spiritualist church, but that was too narrow of a focus for him, and then he eventually had his own non-denominational church called The University of Life. He was brought up in a Christian upbringing as a Methodist, but he had deeper questions that the minister really couldn’t answer, and he asked this minister these series of questions at the age of 12, as you noted in my book. I won’t go through the whole dialogue, but he was a very deep thinker. Really the reason why he went out in the secular world and started demonstrating this stuff is because he just wanted people to – I think the most basic part of spirituality, as I see it and my father saw it was, I think you’re more than just a physical body. That you have a soul and a spirit and there’s something there. But, you know, it was basically the core teachings that he shared were the same ones Jesus shared and it was founded in those teachings that Jesus shared in the New Testament. As far as those gifts being on display, there’s really mixed thoughts about that in various religious denominations. I think what’s evolved over time is, “Oh that stuff’s taboo, stay away from it.” But if you really look in the New Testament, Jesus and his Disciples are doing these things all the time. You have an example of mediumship or what I would call “mediumship,” with the story of the Transfiguration, where Moses and Elijah appear in front of Jesus and the Disciples report viewing this. He encouraged his Disciples to do these kinds of things. And the Apostle Paul notes the Gifts of the Spirit. He details these things as a positive series of things that we have available to us. They include things like prophecy and, you know, you can question what the definitions are, but one of them, to me is spirit communication. So there are passages that support these things, and most of the admonitions come from the Old Testament, in books like Leviticus, which also contend that slavery is okay. So sometimes when you look at this and you don’t take things so literally, maybe you say, “Well could some parts of those Books have been more product of human teaching at the time, based on the lawmakers of that era who were trying to keep their people away from competing thoughts.” Because the Pagan cultures were more open to this, and then the early Christians were more open to it as well. Bob Olson, Afterlife TV: You really know your stuff. Obviously, you’re the man to talk to when you get those questions from people who are very religious and have interpreted things differently. I’m sure you could have some interesting conversations with them. Does this come from being brought up by your father, or is this something more that you’ve studied on your own before Brandon’s passing? Mark Ireland: It’s both really. It started with my father because he had to explain this to people too, because he was under attack at times from fundamentalists. But no matter how much ammunition you have or how much you know, you’re never going to win those arguments. You know, that’s their security blanket and they’re not going to let it go. So you just have to respect where they’re at, love them for who they are, and let them think what they want to think. But there are a lot of people in the middle that are open-minded. They may be more middle of the road in their beliefs; somewhere between the liberal and the conservative vein. So I’d say my father got me started in terms of knowing some of that, but I’ve done a lot more research and reading on my own since Brandon’s passing, because going into this area, I knew it would come up. Those are the two things: What some people call the “super skeptics,” or some call the “pseudo skeptics.” The close-minded ones who aren’t willing to investigate the evidence. They come in with preconceptions. Those two camps really are the ones that you have the most argumentative dialogue with. 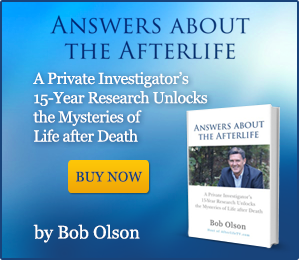 Bob Olson, Afterlife TV: Yeah, I’ve written and even done a video on the same thing. I just call them the open-minded skeptics and the close-minded skeptics. You’re right. So Brandon passes. Obviously, you had this information that came from your uncle. How long, though – was there a period of deep grief where you were somewhat immobilized, or did you jump right into sort of investigating the afterlife, where has Brandon gone, and that sort of a thing? How long did it take? Mark Ireland: Well, it’s interesting, the first few days to the first week were the worst in terms of the pain that I felt and my family felt. But it was kind of like you’d have these ebbs and flows from the high to the low points. And it was during this time too, that I wanted to see if I could get anything on my own. I had never been really good at meditating or spent a lot of time, but I really made a focused effort over those few days to try and meditate to see if I could get any connection of my own. The one thing that I do remember and I wrote about it, was sitting quietly in a dark area where I saw these images kind of flash in my head. One was of Brandon’s face smiling and happy, and then behind it was a cross with an oval loop at the top, a symbol of which I was unfamiliar. So after that, I thought was this my imagination? So I went on Google and searched for that and I found out that symbol is an Ankh, which is an ancient Egyptian cross that predates the cross with the crucifixion and it’s symbolic of physical life and eternal life. So the oval loop at the top symbolizes eternal life, so I took that to mean that Brandon is happy and he’s gone on. 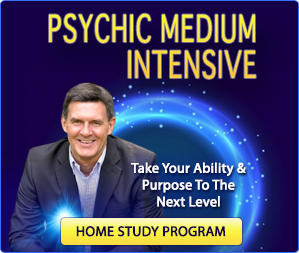 Some people might say, “Well that’s a little fuzzy,” but it was real for me, and I think that is kind of the nature for psychic medium phenomenon for those who practice it on a regular basis. Sometimes it’s symbolic in nature. Some people get clear audio, but others get mainly symbols and things. Bob Olson, Afterlife TV: That’s right, and skeptics aside, when you’re in the situation that you were in, I mean, you’re pretty much grasping for anything to begin with. So when you get a symbol, you’re not going to be all Mr. Close Minded Skeptic about that. First of all it’s not somebody telling you. It’s not a third party telling you about this cross, you’re experiencing this yourself. It’s hard to be skeptical with yourself. You get this and you’re interpreting that what you saw, for its meaning, but how else are we going to communicate? Especially someone who wasn’t communicating with people in spirit on a daily basis, right. Mark Ireland: Right, and the interesting thing to me that’s more validating was I got a symbol that I didn’t understand. Had I known it already, it would be one thing, but it wasn’t just sitting there in my mind like, “Oh I know what this is.” I had to figure out what it meant. That, to me, was more validating than something I would’ve known. Bob Olson, Afterlife TV: I totally agree. You and I think so much alike. And to me, that’s the investigator mentality, which is a bit different than the scientist mentality. I’ve mentioned this before in other videos; scientists are a little bit different than investigators. As an investigator, logic and reasoning is a big part of it. Whereas with science, a lot of it is very straight forward. It’s about numbers, it’s about facts, it’s all that sort of thing. But with investigators, we have to use logic and reasoning quite often in order to make the interpretations that we’re looking for. Let’s just zoom forward to the next most compelling message or piece of evidence that you got, that was really maybe even jarring for you, in a great comfortable way. What was the next step that you had? Mark Ireland: Well, there was a kind of a series of things. And then what seemed to me to be synchronicity followed. And I’ve seen a lot of synchronicities that seemed to be another kind of sign, if you will, especially when they’re of very extreme nature. Well, it was actually six months or five months after his passing when we went on a family cruise. It wasn’t me, but it was my wife. We had just returned home from the cruise and she was sitting on a chair that’s at the foot of our bed – a loveseat, and she felt our son’s presence through her right side and then saw him as a shadow figure. Then I ended up walking into the room and kind of breaking things up by talking. But what was really confirming about that was the very next day we got a call from another friend who we had loaned Brandon’s base guitar to. He was a musician who was doing some recording in his home studio, and Brandon had been a bassist. So this musician friend asked if he could borrow the instrument. So he called and Susie answered the phone. He said, “Well I’ve got to tell you something, but I don’t know how to tell you.” She thought he was going to report that he had dropped the bass or something and it wasn’t that at all. He said, “I was doing this recording and I felt this other presence in there with me. Then I saw a shadow figure out of my right peripheral vision.” It was identical to what Susie described. He went on to say that he couldn’t get rid of this, and then he saw flashes of white light. He thought he was hallucinating, so he went and had some water. He had lunch and took a shower and came back, but every time he sat down to work on this song it kept happening. He actually modified this song as a result of this experience, and he felt that he was driven to compose this song once he acknowledged by saying, “Okay, Brandon, what do you want?” So that was kind of interesting for my wife to have such an experience and then to have this independent report that’s almost identical, the next day, without him knowing anything about her experience. Bob Olson, Afterlife TV: That is amazing. Was Susan a little upset with you for walking into the room? Mark Ireland: No. She actually didn’t want to tell me right away, because she was afraid that I’d feel bad. Bob Olson, Afterlife TV: Oh because it went away, because Brandon disappeared after that. Mark Ireland: I kind of disrupted. She just lost her focus, and she had never had something like that happen before so she didn’t know how it worked or how to facilitate it. She didn’t want to lose it. I wish I had taken my time coming into the room. Bob Olson, Afterlife TV: Well, that’s true love right there. She’s actually more worried about how you’re feeling. So how long did she wait before she told you? Mark Ireland: It was the next day, the next morning. Actually, before she got the call. Bob Olson, Afterlife TV: How did that make her feel? I mean I know you’re speaking for her, but…? Mark Ireland: She felt very, very comforted and very happy about it. And I think a personal visitation is probably the best thing of all. I’ve been with some great mediums and had great sessions, but to have that direct contact, I can’t imagine that there’s anything better. Bob Olson, Afterlife TV: No, and for you to get these two messages one after the other, how about yourself; what did that do for you? Mark Ireland: Well, it was very helpful for me and then another series of synchronicities kind of happened in February, which was just a month after Brandon’s passing. I was watching the evening news here in Phoenix, on the NBC affiliate and they were showing an interview that was about afterlife research being done at the University of Arizona with mediums who were being studied under single and doubled lined test protocols. The medium they showed, at the time, was Allison DuBois. That’s kind of before she hit it big, because of the show Medium. So they showed some of her hits with the person that she couldn’t see. I thought, well she’s pretty good, and I felt comfortable with what I saw there. I thought I’d love to have a reading with her; I’d love to be in that lab at some point. The very next day, I got a call unsolicited, from someone in Texas who knew my father. His name is Jerry Conser. He said, “Mark, I know what you’ve been through and I know someone who might be able to help you. Her name is Allison Dubois,” and then he gave me her phone number. It turned out that he had been married – he was an ex of a woman who was Allison’s cousin. So that provided a link there for me to be able to get in and see her. And even though she hadn’t become famous yet, she did have quite a following and a long wait list. I did get to eventually see her in August of that year, so that was an interesting connection there. Bob Olson, Afterlife TV: What do you make of that? What do you make of that happening? I mean you see the thing on TV. Obviously, you’re thinking, “Hmm, maybe I can get in there,” and then you get this phone call. Mark Ireland: Yeah. I was eventually in that lab too and became tested for an experiment that was taped for a Discovery Channel episode. There’s a link to that on my website, too. But yeah, that’s like the first of a series of things where I said, this is not a coincidence. Bob Olson, Afterlife TV: Now, do you think Brandon is coordinating all of this or what? Mark Ireland: Kind of in my mind, it’s my dad and my son working in cahoots, you know; trying to line things up. I think it was during the course of these things and some of the early readings that the information I got from people who knew very little about me or my circumstances, that led me to believe that I was on a path that had a bigger purpose, and it was like bringing an understanding to people. So it was kind of like I had to go through this pain to be prepared for the work that I had to do going forward. Bob Olson, Afterlife TV: That’s a good point. You know I have a question here and I’ll ask it now, because you kind of brought it up. The question is, why would you surmised that your soul chose the life where your father is a psychic and your son passes at 18-years-old? Well I was going to ask how are those two things related. It’s obvious by this point in the story, how these two things are related. But do you think that’s possible? I was talking to Rob Schwartz earlier about the plans that our soul has made. Do you believe in that sort of thing, and do you think this was maybe what this was all about – you have a father who is a psychic, you have a son who passes at 18, and it’s leading you in this direction? Mark Ireland: It’s interesting that you bring up Rob Schwartz, because that’s the first thing I thought of when you mentioned that. You know, I can’t say that I’m 100% buying into it, but I do lean that way. I do think that there’s a part of us, our soul, our over soul that existed prior to this physical incarnation, that is kind of a guiding force in what we’re evolving to be and has a role in that. So it does seem to me that I have kind of planned path and I think I still have free will though, over making choices to vary off that path or whatever. But in the end game, I think more likely than not, you end up following that path of the end goal. It’s kind of like a river that has little tributaries that go off this way or that way, but at the end they end up kind of going into the same body of water you know. Bob Olson, Afterlife TV: Yeah, exactly. Where has it led you? Let’s just jump forward a little bit. Where has it led you? What kind of work are you doing in this field? Mark Ireland: Well, I’m still in the corporate world because I have to earn a paycheck to pay the bills, but I’m doing a lot of other things on the side. I’ve been doing more writing. I’m preparing to publish a second book. I also got the book that my father published, that had been sitting dormant since 1973, called Your Psychic Potential: A Guide to Psychic Development. I’ve met with other mediums and researchers. I’m not a scientist like you, but I’m very interested in seeing science done in this area. I see there’s no funding for it and mainstream science is staying away from it still, so there’s just a handful of researchers doing it. So I’ve gotten to know more of them. I’ve conducted some experiments on my own. One involving my sister who passed in 2006, and she left behind a message in a sealed envelope and we reached out to some mediums after the fact. So I’ve written kind of a full description of that experiment. I would call it a partial success. Maybe not 100% clear success, clear-cut, but giving us a good road map maybe for future endeavors of that sort. I’ve launched a new support group for parents who have lost kids. I’ll be putting up a website on that soon called Helping Parents Heal. And in the interim, anyone who is interested in this can find a group that’s going to be changing its name to that. It’s currently called Parents United in Loss. There are other good groups, like Compassion Friends, that do this sort of work. But we’re going to be a little bit different because we’re going to go beyond the limits that they’ve kind of set for themselves and allow people to share stories that delve into what maybe will turn paranormal, spirit communication, near death experience information, ADC (After Death Communication) information and so on. Additionally, I’m helping coordinate a conference that’s going to be held in the Phoenix Scottsdale area April of 2012, called the International Conference on After Death Communications. We’ve got a great line-up of speakers from Pim von Lommel, who is one of the top authorities on near death experience research. We’ve got Bill Guggenheim, author of Hello From Heaven. I think he’s one of your guests. Bob Olson, Afterlife TV: He’ll be coming up. Mark Ireland: We’ve got Larry Dossey. We’ve got like 21 speakers, and they’re all experts in their field. We’ve got John Holland, from your area. He’s a Boston medium; one of the top ones there. Bob Olson, Afterlife TV: He’s a good friend of mine. Mark Ireland: Yeah, he’s coming out. Mark Ireland: So those are some of the things I’m doing. Plus I’m still speaking at various events. I’m doing book signings periodically, speaking at churches, and whoever will hear me. Bob Olson, Afterlife TV: Let’s talk about that second book that you did. I thought it was interesting the way that you got it. This involves your uncle again as well, does it not? How you ended up with your father’s book. Tell us a little bit about that. Well it had been two weeks prior that someone my dad had knew, had apparently held onto this book for the 12 years since my father had died. I didn’t even know this book existed. I was out of state, at the time, so I gather that’s why my dad gave it to this person and just said, “Hang onto this.” Or maybe he knew, if you’re talking about this life plan thing, at the right time I’d be given the book. Not only that book, but I have a ton of material that he’s left behind and I’m trying to figure out exactly what to do with it all, how to get it published, and how it could be helpful to people. Bob Olson, Afterlife TV: Oh that’s so cool. There’s so much serendipity going on there. It’s unbelievable. Your story takes you to numerous other mediums, and just for the sake of time, we’ll kind of have to fast forward here. But what are some of the more significant lessons that you gained along the way by going to different mediums? I mean some people might go to one and they’ll just stick with that one. Why go anywhere else if you’ve got a good reading? But you went to more. I certainly did, in my case and I know a lot of people do. They just want to try it with other people, and one of the fascinating things that I learned very early on, you only have to go to a couple; is you see the parallels that go on, but you also see the differences. Tell us a little bit about your experience in that. Mark Ireland: I think that’s true. I’ve got a lot of great validations, highly specific information from all of them. And in fact, many more since that book. In fact, some readings beyond the quality even of what were in the book. The best one of all isn’t even in there, but nonetheless, I’d say all four that are in the book are very good. And it’s not just a book about the readings, those are just validations. But it was striking to me to see the correlation between them. Like out of the four, like three would get the same thing in a certain area and four would get a certain thing. Many of them said my father was there to meet my son and didn’t know I had lost my father and didn’t know had lost my son. There were numerous references to manner in which he died and pretty accurate descriptions of how my son passed and things like that. So the correlation of those, but also, I appreciated kind of the variation. What you find too, is some you connect better with. It just feels very natural and there’s a comfortable mode of communication there. But at the end of the day, I really don’t recommend that people OD on mediumship readings, because I think you can become an addict of that, if you will, and it becomes a crutch and you have to kind of figure out how to go forth on your own. So having one periodically, I think is a healing thing. But it’s like anything else, it comes down to balance. Bob Olson, Afterlife TV: We’re talking about awareness here. Part of the awareness is to recognize, okay they are not dead, they still exist, and their consciousness survives. You know one of the first things that I tell people who have lost a loved one, people that I know personally is just talk to them. I remember some of the first readings that I had gotten, my father kept coming through saying, “You know I’m there. You feel that I’m there, just talk out loud to me.” Did you ever get that from Brandon? Mark Ireland: I have had that. One medium, Jamie Clark, I think said “Why are you coming to a medium for this? You can talk to me.” So I do, I send these thoughts off and talk to them in my mind, and sometimes I’ll get signs because I’m a little bit dense. This is actually the most recent event. This is back on January 10th, which was the 8th anniversary of Brandon’s passing. We had actually had a little get together with my son Steven, his girlfriend, and two of the boys who had hiked with Brandon on that day. We had this little powwow and enjoyed the evening and then at the end of the night, I decided to just sit down and try to meditate, even though it’s not my greatest strength, just to see if I could form some sort of connection on whatever level. So I got relaxed enough that I actually started seeing some things. And I don’t always see things, but in my mind I saw a bunch of relatives, and it was just like scrolling from one to the next. I saw two grandmothers, my sister, my mother-in-law, and then eventually an outline of Brandon. I didn’t really see his face and then my father. But during this I was like, “Okay is this my imagination or is this real?” But all of a sudden for several minutes, for 3 to 5 minutes, I started hearing loud noises throughout the house like popping, cracking sounds and there was no physical explanation for them. There was no wind outside, there was no stress on structure of my home, there was no running water, and my wife was in bed, so there was no physical explanation for these noises. So to me, I took that to say, okay they gave me the sign that they were able to provide, that I could accept. Bob Olson, Afterlife TV: Right, right. And again, when you have that kind of experience, how does it make you feel when it’s over? Mark Ireland: Inevitably, you’re looking for something validating. We’d all like to have our love one materialize right in front of us and give them a hug, but you have to be grateful for what you get. Mark Ireland: I think the other lesson in this is – you know, as I assess what’s important in my life, I value and I’m thankful for those things that I do have in my life going forward and I appreciate those things more than ever. Bob Olson, Afterlife TV: That’s right, and actually I’m going to ask you a question about that as our final question. But I want to get back to the premonition, because this reminds me a little bit – you know, I’ve talked to a lot of people who have lost loved ones and a lot of people worry that they feel like they might have been able to prevent their loved ones passing in some way, especially when it’s a tragic passing. Here, this is a perfect example of that. You have this premonition like feeling that, “Oh this isn’t a good idea.” You actually ask him twice not to go, and obviously, like you say, he is 18, he’s a big boy and he says, “We’re going,” right. Do you ever second-guess yourself afterwards? I mean immediately after. Not where you’re at now, because where you’re at now you have a much bigger picture; this is the way it was meant to be. But immediately, you know, you can probably recognize how people might question themselves in a situation like that. “Oh, if I had just made him stay,” right. What advice would you have for people that feel that way? Mark Ireland: Well, I can’t say with certainty that I could or could not have changed things. I think there are cases where you get a premonition or a feeling and you can alter the results. Even my father, he noted in some of his writing, cases of that. There was one Sunday where he was going to go to church, but he knew he was going to be in a car accident, so he intentionally picked an alternate course, but he still got in the car accident. So in my case, I feel that, and I can’t prove this, but I feel that this was an inevitable thing that was going to happen. So maybe I stopped Brandon that day and maybe it would’ve been the next. Maybe he wouldn’t have gone so easily and that would’ve been worse. So I can’t say definitively, in which cases you can predict and change the outcome of something, which you cannot. I just know for me, after the fact I came to that conclusion. But I did many times look back and say, “Wow, I wish I had not let him go or found some way.” I even had a scheme for how I was considering doing it. An employee of mine lived across the street from a pretty famous rock musician named Dave Mustaine and my son was a fan. I thought, “Well I could tell him I’ve got a meeting scheduled today, and then try and arrange it at the last minute and not knowing if it would come together and I didn’t do that. So if I felt any guilt at all, which I really didn’t feel a lot of guilt, I think it’s normal. People feel guilt even when they shouldn’t. Any shred of guilt I had was for not doing that, but at the same time, I would’ve been dishonest in doing that. He was old enough to make his mind up about what he wanted to do. Bob Olson, Afterlife TV: I don’t know your relationship with your son, but it’s also possible, if a parent – if a father had tried to do that, they might’ve gotten into an argument and he might’ve gone anyways and that argument would’ve been the last memory that he had. So being honest, letting people have some freedom, especially when they’re an adult – at least you can live with that, at peace in knowing that’s how it ended. Mark Ireland: Sure. We wouldn’t have gotten into a fight, but still, he probably would’ve wanted to meet the guy. But, oh well. Bob Olson, Afterlife TV: Well yeah, in that particular case. But if you were to say, “You’re not going,” and tried to handcuff him. We’re running out of time. This went so fast. I can’t even believe how fast it went. So I want to get back to that one thing that I mentioned just a minute ago, and you had touched upon, which is, can you tell us how Brandon’s passing and all these experiences that you have had – and there are so many more in the book. There are just so many more that you talk about with much greater detail and it’s so interesting, but how has it changed your life? How are you different today than you were before this happened? And I’m going to finish that off by saying, a lot of people – not a lot, but a few people will say on our Facebook page, “Why are you thinking about the afterlife, you should just be focusing on life?” To me, learning about the afterlife teaches us about life. So is that the case for you? Mark Ireland: Yeah, I’d say the life and the afterlife are a continuum. It’s not like, “Oh it’s this or that.” It’s just our next state of experience after we pass. I think, if you haven’t lost a kid or somebody very close to you, it’s a little hard to understand how debilitating that can be, so people have to get to a point where they can cope and go on and have some hope. It’s like I said with that parent’s organization that I’m starting called Helping Parents Heal, if people can’t heal or have some hope to carry on, they’re not going to be able to function in this life. They can’t even function or feed themselves. You don’t want to eat, you don’t want to sleep, you’re miserable. So I think those things do correlate, and I just say that my life now, what’s different about is what’s most important are relationships, are trying to educate and bring information and help to people, and I really enjoy that. In fact, I would say almost once a week I get contacted by someone who knows someone who has lost a kid and they want to talk or connect in some way. I relish that and I give them the time to do that on a one-on-one basis, to the extent that I can. So I’m trying to broaden the scope of what I’m doing to reach more and more people, and even build an organization where it could be a domino effect, where people come in, they need the healing, they get healed, and then all of a sudden they’re a resource to other people. When parents lose a kid, the people they want to talk to most are those who have been through the same thing, and especially people who have healed, who are together and happy, and who have found joy in life. Because you wonder in the beginning stages, will I ever find joy in life again? You can, you just don’t know it at the time. Bob Olson, Afterlife TV: Your story is a perfect example of that. I want to thank you for sharing your story the way you have with us today and in your book and your future book, I look forward to that. Please let us know when that’s coming out. I want people to go to your website. What’s your website? Mark Ireland: It’s Markirelandauthor.com. M-A-R-K-I-R-E-L-A-N-D-A-U-T-H-O-R.com and it’s all one string of letters. Bob Olson, Afterlife TV: We’ll have that link up below this video as well. Your two books right now: Soul Shift and Your Psychic Potential, which is the one that your father actually wrote, correct. Mark Ireland: Right. I wrote the forward to it, but he wrote the book. Bob Olson, Afterlife TV: That’s cool. And then, anything else that you wanted to just mention and make people aware of? Mark Ireland: Just if they go to my website, they’ll see a link at the bottom for the conference that’s coming up here this spring. It’s called The International Conference on After Death Communications. Anyone who has got the time and resources to come, I think you’ll really get a lot out of it. Because we’re bringing a cross section of evidence for the afterlife, and people that are coming to that some will be bereaved people and some will just be inquisitive or curious about the evidence or maybe on a journey. That, I would say, is kind of the primary thing today that I’d focus on and we’d love to have you come to the event if you can make it. Bob Olson, Afterlife TV: You’ve got a great variety of people as well. You’ve got Larry Dossey, a very scientific minded. Excellent mind in that way, really great for the skeptics. Then you have other people like the psychic mediums that you have; John Holland, Jamie, what’s his name? Bob Olson, Afterlife TV: Maybe they’ve never been skeptical in their life, but they’re doing their thing. And then you have all these people in between, you know what I mean. So I think you’ve got a great range of people there, that’s going to satisfy the needs that everybody has when they’re trying to learn about the afterlife. Mark Ireland: The other thing that we have is we have a few mediums that are coming there, that are available for readings. 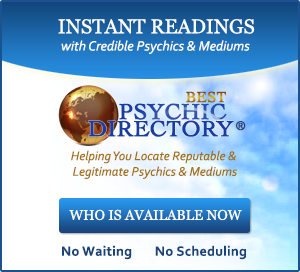 So if people are there, and they’re going to presentations, but they want a reading from a top medium, we have some really good ones there that they can rely on and schedule time with. Bob Olson, Afterlife TV: That’s great. Well Mark, thank you very much for coming and I hope we’ll get to talk to you again in the future about your best book. I wish you the best of luck. Mark Ireland: Thanks Bob, I look forward to it. Bob Olson, Afterlife TV: Thanks.